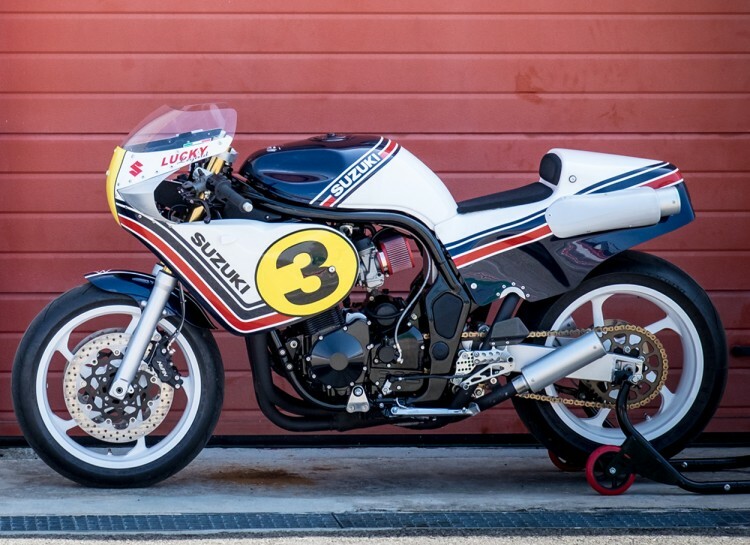 This bike from Italian Dream Motorcycle is a tribute to Italian Grand Prix Legend Marco Lucchinelli. Naming it as Lucky Legend on the nick name of Marco as Lucky. IDM has decided to built every year a bike for 6 of the bike championships in Italy. Marco won 1981 GP on Suzuki RG500. 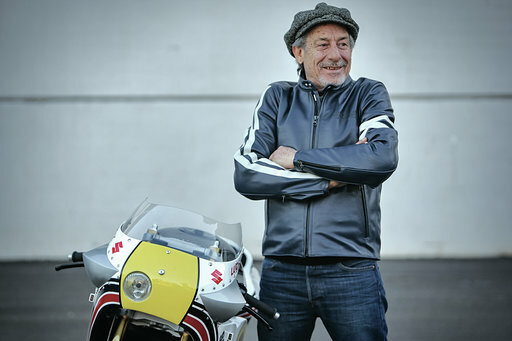 For him they chose Suzuki Bandit 1200 and created a most accurate replica of Marco's GP Bike. IDM hand built all the special parts in fibre and aluminium. 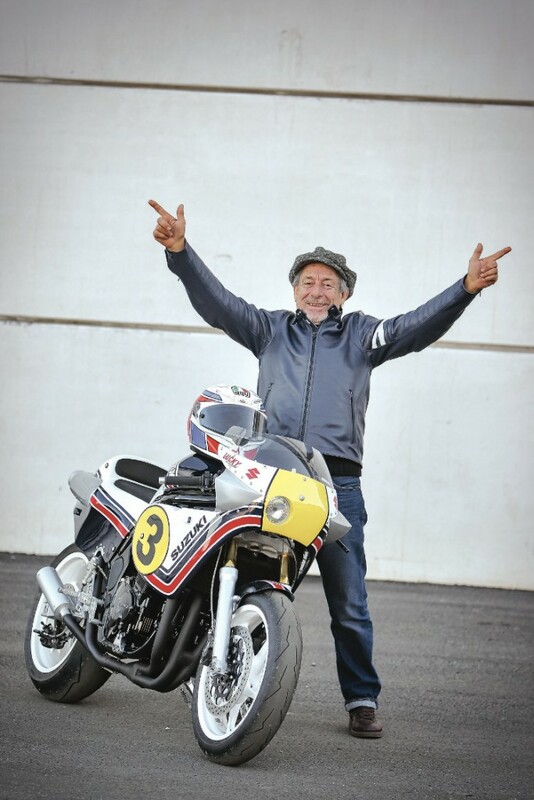 For the fairing they found a collector who has stamp of original RG500. He made a copy of what Lucchinelli's bikes has at that time. The engine was complete rebuilt. Mikuni Carburetors and open filters were used. 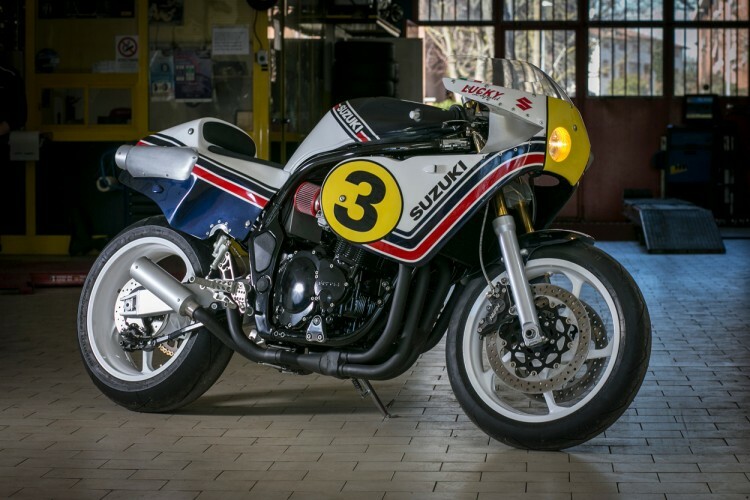 Massimo Rinchiuso built the 4 exhausts from scratch to make this bike more appealing. They used Brembo RCS brakes and clutch pumps. Marvic Penta wheels with white magnesium are excellent for looks of the bike. After finishing the bike, when Sergio asked Marco to sign the bike. Marco referred it to as his own bike. This bike also has been featured into various bike magazines and website as one of the best cafe racer of 2018.